The Republic of the Philippines consists of 7641 islands of various sizes, of which only about 2000 are inhabited. With just over 100 million inhabitants, the Philippines is the 12th most populated country in the world. The archipelago is named after Philip the II, king of Spain, who was ruling at the time the Spanish arrive to the area and took over, in the 16th century. The capital of the Philippines is Manila, one of the world’s largest and most populated cities, residing on Luzon island, the largest island in the country. Mountains cover most of the country’s islands, with plenty of volcanos, some of them still active to this day. The Philippines is wealthy with natural resources, gorgeous beaches, hiking trails, incredible diversity of birds, plants, animals and of course, marine life and dive sites! This is one of the most exotic and beautiful countries in the world, both above and under the water. Furthermore, even though it consists of islands as far as 1000 km off the continent, Manila is surprisingly easy to reach from North America, with plenty of flights available, including non-stop flights from LAX, SFO and Vancouver. The Philippines are located in a unique area called the Coral Triangle. The Triangle is considered among the most diverse places in the world for marine life. Over 500 species of corals can be found there, 76 percent of all known coral species, as well as over 3000 species of fish. Due to the high importance of marine life to the region, ocean and marine life conservation are regarded very highly in the Philippines, which keeps the reefs healthy and the dive sites spectacular! Water temperature runs from 75-84F (24-29C) throughout the year, visibility is excellent and the currents are mostly mild. The Philippines offers a very wide variety of dive sites; from muck diving to glorious reefs, drift dives, large animals and more. Perhaps the most well-known reason to dive the Philippines is the abundance of critters. Bizarre, alien-like, tiny creatures which you probably can’t find anywhere else in the world. Hundreds of different types of strange, colorful Nudibranchs including the adorable “Shawn the Sheep”. Sea Horses, Ghost Pipefish, Pygmy Sea Horse, Mantis Shrimp, Flamboyant Cuttlefish, Frogfish no longer than a fingernail and more incredible critters. Puerto Galera, located on Mindoro island, is one of the top spots to dive in The Philippines, offering the widest variety of dive sites and marine life, with excellent conditions almost year-round. It also allows quick and easy access to Verde Island. 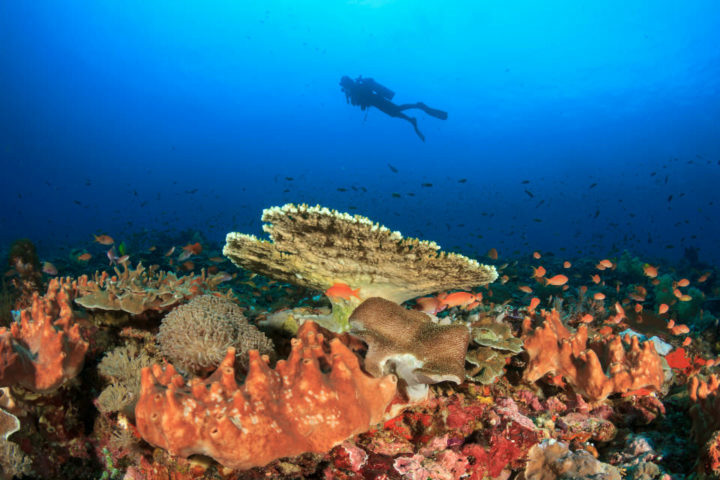 If the Philippines are the epicenter of marine biodiversity in the area, Verde Island is the icing on the cake. It doesn’t get any better than this. Verde Island serves as a passage way between Mindoro and Batangas, home to over 1700 species in a small 10 by 10 km area; the largest concentration of marine life in the world! Currents in Verde Island are stronger and visibility is always great. Puerto Galera is also an excellent muck diving destination, with sites like “Giant Clams” located only 10 minutes boat ride away, offering fantastic muck diving with plenty of macro subjects guaranteed. 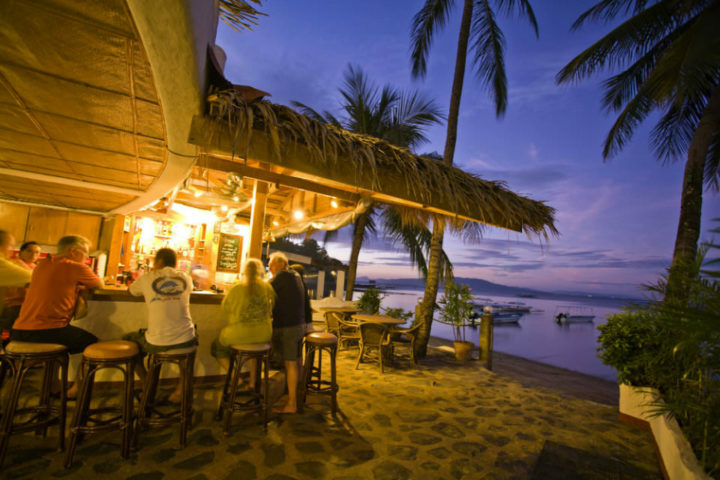 An hour and a half sail from Puerto Galera will take you to Anilao, located on Luzon. 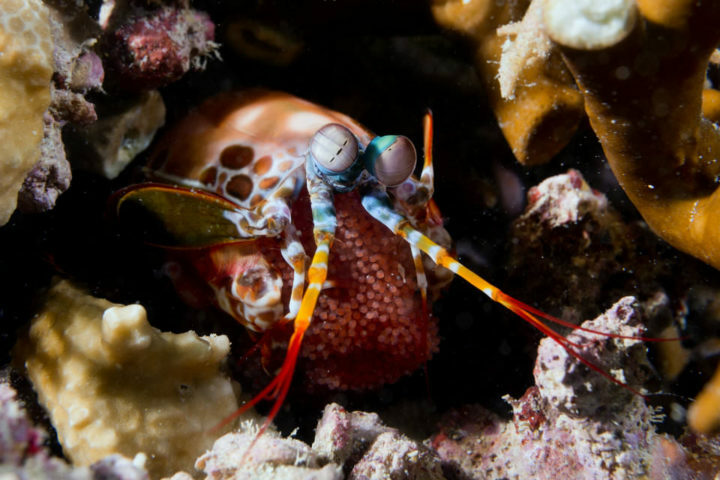 Anilao is the capital of muck diving, teeming with colorful critters and highly ranked among underwater macro photographers.